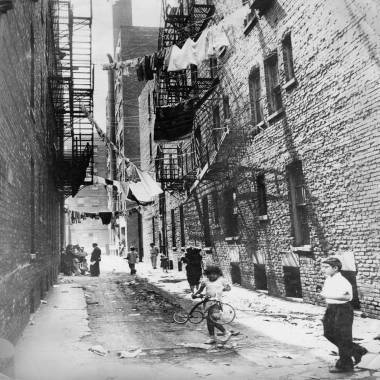 How one poor neighborhood in Chicago looked in 1963, the year the federal poverty line was determined. It is responsible for an estimated half-trillion dollars in federal spending every year, is hated by nearly everyone who studies it and is based on an American lifestyle older than the space program. Yet the figure known as the “poverty line” is almost certainly here to stay. That’s partly because a more accurate measure of who is poor could add millions of Americans to the rolls — something few lawmakers want to have happen on their watch. The poverty line was conceived by a civil servant named Mollie Orshansky who worked for the Social Security Administration and was herself the daughter of poor Ukrainian immigrants. She totaled up the cost of the cheapest three-meals-a-day plan that the federal government considered nutritionally adequate in 1963. A decade earlier, the Eisenhower administration had calculated that the typical family spent a third of its money on food. So Orshansky multiplied by three. It was that simple. The poverty line was born. The federal poverty line — $11,945 in cash income for a single adult, $23,283 for a couple with two kids — is the same whether you are poor in New York, the most expensive city in the United States, or poor in a small town in Nebraska. It is the same whether you take transit to work or are hostage to the whims of gas prices. It is the same whether Medicaid helps you with medical expenses or you pay out of pocket. It is the same whether you receive food stamps or pay for child care. It is the same regardless of how poor you are. For the purposes of some federal benefits, someone making a dollar below the poverty line is treated the same is someone making virtually nothing. The federal measure is linked to about half a trillion dollars in federal spending every year, according to a paper published last year by two professors, Bruce D. Meyer of the University of Chicago and James X. Sullivan of the University of Notre Dame, in the Journal of Economic Perspectives. Among them: Food stamps, anti-poverty block grants for cities, heating and air-conditioning aid, AIDS drug subsidies, family planning services, Head Start and job-finding assistance. The Census Bureau, which is responsible for updating the poverty line every year to account for inflation, makes no secret of its flaws as a way to determine who qualifies as poor. Two years ago, the bureau and the Labor Department agreed on a different way — a poverty line that accounts for medical expenses, geographic differences, the cost of shelter and clothing and other factors. 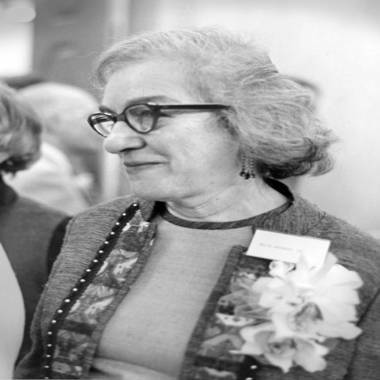 Mollie Orshansky, the civil servant who developed the poverty line, pictured in 1967. She died in 2006. It’s called the Supplemental Poverty Measure. But it exists only for federal number-crunchers. It has no teeth. Look into the numbers and it’s easy to see why: Using the existing poverty line, there are 45.8 million poor people in the United States, or about 15 percent of the population. Using the supplemental measure, there are 2.6 million more. West Virginia’s poverty rate would fall about four percentage points if the supplemental measure were updated — meaning fewer federal dollars for its people. California’s poverty rate would soar, from 16 percent to 23 percent. Because of what analysts have called a historical accident, any change to the poverty measure has to come from the Office of Management and Budget, under the president. And no president wants to suddenly have millions more poor people on his watch. All the other major economic statistics are controlled by federal statistical agencies, which have to review and update them regularly, Rebecca Blank, a fellow at the Brookings Institution, told Congress in 2008. “There is no other economic statistic in use today that relies on 1955 data and methods developed in the early 1960s,” she said. Blank is now the acting commerce secretary and declined an interview request through a spokeswoman. Frustrated by the federal poverty measure, New York Mayor Michael Bloomberg adopted his own in 2008. The city took into account the higher local cost of living, among other expenses, and set the line about $8,000 higher for a family of four. The result was a higher poverty rate — 21 percent in 2010, the most recent year for which data are available, compared with 19 percent using the federal line. But because the New York measure also accounts for help for the poor, like tax credits and food stamps, it also led the city to conclude that Bush administration tax cuts and the Obama stimulus package had helped keep poverty from going even higher. McDermott, the Washington congressman, introduced a similar nationwide bill in 2008. It would have taken into account modern costs of living and benefits for the poor. It never came up for a vote.